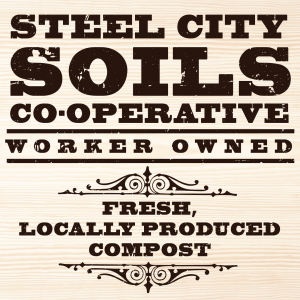 Steel City Soils (SCS) is a cooperatively-managed group that works together to recycle food and yard waste. Its focus is to make the highest-quality end product possible for urban food growing. Mission: to provide products and services that will help create a profitable market for urban farming in Pittsburgh. Vision: small-scale, on-farm compost systems which work together with design and operation of urban farms. By networking and pooling its resources to distribute to smaller sites, SCS can work together to create an urban food network that will thrive in Pittsburgh. 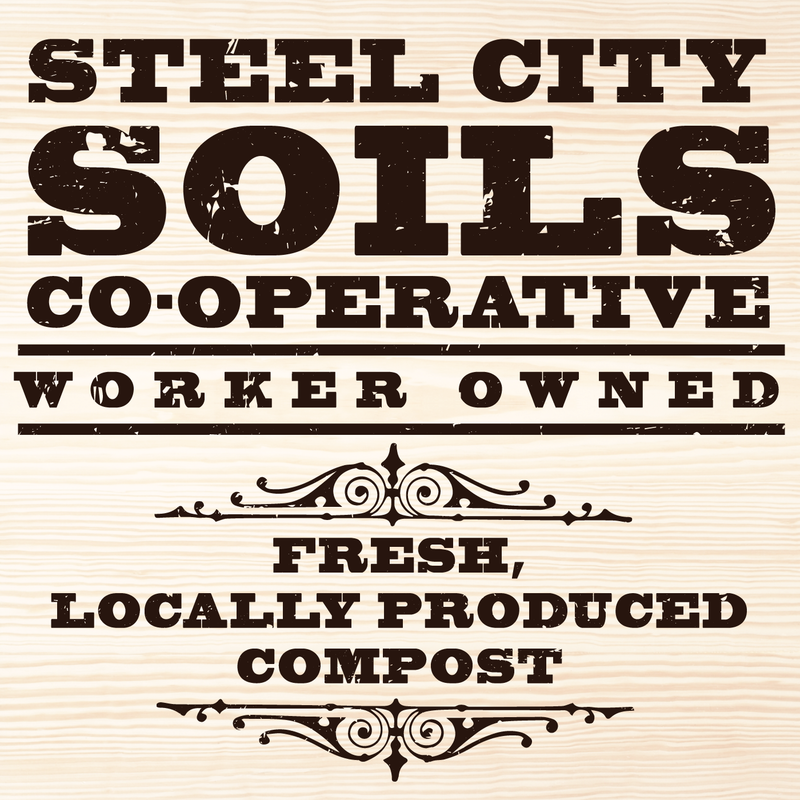 Steel City Soils LLC was formed in 2009 as a worker-owned company. Since then, members have been developing methods for comprehensive soil testing, and on-farm, urban-farm composting. In late 2014, SCS purchased its location in Braddock, PA. In 2015 it became part of New Sun Rising‘s Food Hub Incubator Program.